Blitz has long been a staple of Dartmouth culture — it serves as the primary medium for communication between students and their friends, professors and campus groups. Yet Blitz’s central place in campus life brings unique perils. We must adopt different Blitz etiquettes in our daily interactions — since most of us would think it wise to keep the winky faces confined to messages with a crush rather than permit them to spill over into a note to a professor. While email communication certainly varies based on the recipient of the message, many think of it as a casual mode of communication. While email might seem to be the a technological equivalent of a formal letter on paper, it is often used like any other messaging service, with the added benefit of having the entire student body at your fingertips. “My emails are very colloquial. Lots of slang, lots of lowercase. Not very formal,” Kunal Rathi ’16 said. Many students echoed Rathi when it comes to blitzing their friends. In the old days of the original BlitzMail, students often used emails in lieu of texts, using Blitz to make dinner plans, set up group projects and ascertain the general whereabouts of their friends. Despite the ease that comes with each student having a cell phone, it seems texting hasn’t completely replaced Blitz. “If a blitz is to friends, it’s just as casual, if not more casual, than texting,” Mayer Schein ’16 said. Sali Tagliamonte, a linguistics professor at the University of Toronto and author of “So sick or so cool: Teen Language on the Internet,” said email has indeed become “the new letter writing.” To Tagliamonte, it remains more formal than texting on phones or computers. In her study, for example, she found that “LOL” was used more frequently than “haha” in instant messaging or texting, but less frequently than “haha” in emails. Despite its casual tone, email has not completely devolved into constant “LOLs” and “K.” Some students interviewed said they still write in proper English. Bo Gibson ’16 and Adam Grounds ’16 both said they strive to maintain accurate spelling and grammar in email. Other students, however, shy away from the pressure to keep their writing so formal. “People who tend to write more formally, the tone of their message feels a little more uptight. It feels more like a chat when you’re talking more informally,” Rathi said. 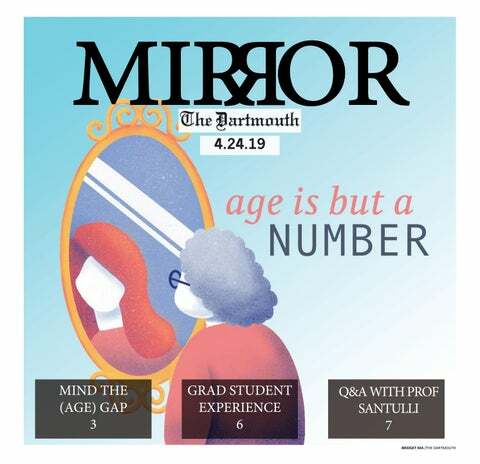 There are certain constructions and phrases that seem to be unique to Blitz at Dartmouth, and sometimes they carry over into daily spoken conversation. Gibson said constructions like “@ now” or the use of the “@” symbol in general seem unique to Dartmouth, but that these phrases slip into students’ speech. These sorts of phenomena, while often thought to be “email speak,” may not actually be caused by the form of communication itself. The phrase “@ now,” for example, seems to have become so ingrained in the student culture that it appears in conversation as often as in email. In this sense, Blitz may just be an extension of speech between students who happen to be in different rooms, and speech becomes a form of in-person, face-to-face Blitz-speak. New phrases and mannerisms flow freely between the two exchanges. “On a meta level, blitz itself carries over into every day conversation,” Gibson said. Rathi added that while he doesn’t see too much Dartmouth-specific jargon in email besides the aforementioned use of the “@” sign, he does like to mix in some West Coast slang like the word “hella” from time to time. Blitz also prompts students to add a dose of personality to otherwise dry exchanges. The way one chooses to begin or sign off emails is perhaps the simplest way to spice things up. Gibson said he’s employs “cheers” as his sign-off, while Grounds described himself as more of a “best” person. Schein on the other hand said he prefers the slightly more heartfelt “All my love” from time to time. For students and campus groups alike, having unique or funny emails is often a good way to accomplish a desired end, whatever it may be. There’s no denying that some Blitzes can be eye-catching — even if they may require a great deal of concentration to discern meaning from the cluster of letters and symbols bearing only vague resemblance the English language that lie within. Guo said she noticed that one friend sends particularly startling blitzes. Despite the effort put into many emails by students and groups alike, though, the oversaturation of the campus Listserv has led to some criticism of Blitz as an institution in general. Schein said that he simply doesn’t read most of his Blitzes, and Grounds added that has become accustomed to ignoring them altogether. These interviews have been edited and contensed.